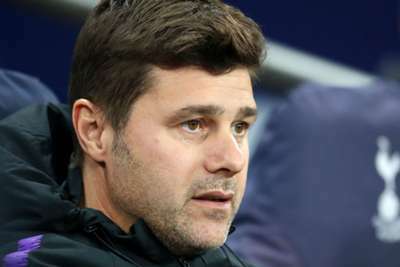 Tottenham manager Mauricio Pochettino would have no qualms over throwing youngster Kyle-Walker Peters into Tuesday's crunch Champions League clash against Barcelona. The 21-year-old right-back made his first Premier League appearance of the season when Serge Aurier limped out of Saturday's otherwise routine 2-0 win over Leicester City. Tottenham need to better Inter's result against PSV when they face Barca in order to progress from Group B. "The squad is the most important. Today Kyle Walker-Peters had the responsibility to play. If they [Trippier and Aurier] are not ready Kyle is going to play," Pochettino told BT Sport. "He is a great player, younger, but he is going to give his best if we need to play with him." Messi scored two sublime free-kicks in Barcelona's 4-0 derby rout of Espanyol, but Valverde told a post-match news conference that his star man could be set for a midweek off. "We respect the competition and we want to win the game," he said. "We will do the line-up thinking about the needs of Barcelona, not Inter, thinking about winning." Tottenham are back up to third in the Premier League following two wins in the aftermath of last weekend's loss to rivals Arsenal. Pochettino's men are six points behind new leaders Liverpool and five shy of champions Manchester City, who suffered a first league defeat of the campaign at Chelsea on Saturday. "There are a lot of games to play. We still haven't finished this half of the season," the Argentinian said, pondering his team's prospects in the title race. "The gap is five and six points. If you compare to last season it is a much better gap. We reduced that gap. "But that doesn’t mean anything because it is a long way to the go in the season. The most important thing is to be there in the last six or seven games of the season to fight. "We are going to try. We are going to be solid and show that we deserve to be there."